"Let everything happen to you: beauty and terror. This process, the one of growing up, it's hard. You don't know the right decisions to make - you've never done this before. Trying to create a career, or to even figure out what you want that career to be, meeting new people, becoming a full, interesting and interested person, to fill your life with good things and keep going through the beauty and terror can feel so overwhelming. It's stopped me in my tracks for a while. The little fears, ones that go something like this: "what if people don't like what I do anymore?" "what if this blog post isn't as good as the last?" "what if they don't like what I have to say? ", they started getting to me. I forgot that those feelings weren't final. I dealt with them as I'm apt to do - I ignored them and stopped moving. I came across the quote above from Rilke the other day; I had read it before, but this time it took my breath away. Let it happen. But keep going. I wasn't letting it happen, I was pushing it away. I was trying to pretend it didn't exist and also letting those feeling be final. But I realized you have to live these things out, the beauty and the confusion, to change and grow. You have to keep moving. I'm working on that. 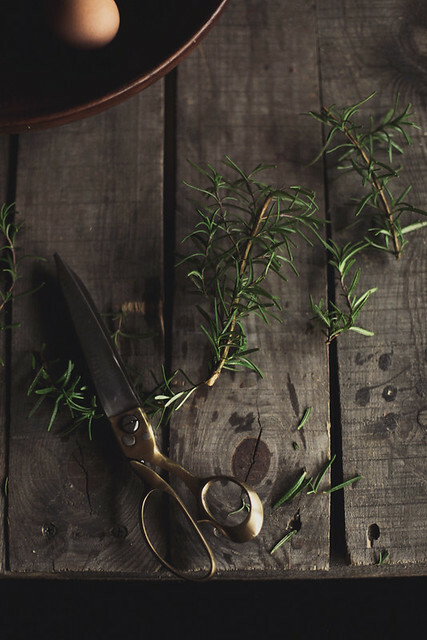 Apples and rosemary are often paired together with pork, but they work really well in sweet dishes, too. This cake is so simple and tasty, the earthiness of the rosemary really makes it. Preheat oven to 350. Butter a 9 inch cast iron skillet. To prepare crumb topping: Combine the flour, sugar, salt, butter and rosemary in the bowl of stand mixer fitted with the paddle attachment. Combine on low speed, until it becomes the texture of coarse crumbs, add in water and mix until crumb comes together. Set aside. To prepare cake: In a medium bowl, whisk together flour, baking powder and salt. Using a stand mixer with the paddle attachment, cream butter and sugar together, on medium-high speed for 3-5 minutes, until light and fluffy. Add eggs one at a time, scraping down the sides of bowl after each addition. Stir in vanilla. Add in the flour mixture in 3 additions, alternating with the milk. Fold in the apples. Pour mixture into prepared pan and sprinkle crumb on top. Bake for 40-45 minutes, until lightly golden and firm to the touch. That quote is stunning. It's so easy to get caught up in fear and comparison and freeze - I do that too. Lovely to see a new post. Keep going! Oh my goodness, I can relate to this post and all that you say and feel so much. I often feel the same as I try to figure out where my path is supposed to lead or where I'm supposed to end up, how to get there, and how not be totally overcome by worry. But I think you are completely right--keep moving. It's hard, but it's so true. Thanks for this. oh, Hannah! you are so right. I feel you. I honestly can't believe that you have those annoying thoughts about putting your work out there, it's so divine! I absolutely ADORE your blog, and I even posted about you being one of my favorites a few weeks ago. As for this recipe, it is going straight to the top of the list. It looks scrumptious. 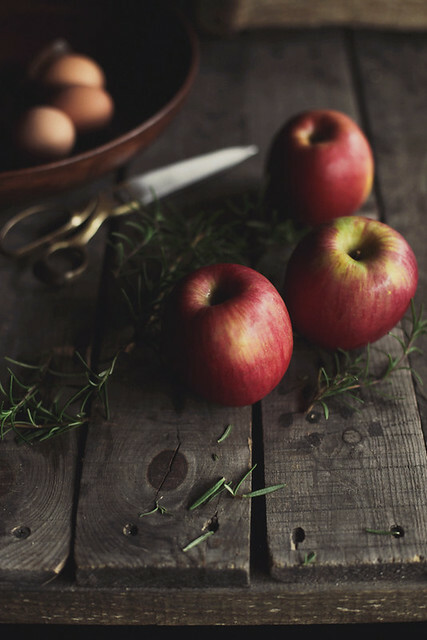 Any particular kinds of apples to try or stay away from? Thanks! Rilke... So true. Lovely post! Beautiful....You know, some days I feel the magic isn't there, but I remember that tomorrow is a new day. The quote is perfect- no feeling is final. You pictures are artwork. Seriously, the best I have seen in the blog world. Beautiful post & quote. Thank you for sharing your feelings with the world, you don't realize how they will affect another person, for me it has, positively. A friend of mine could use this right now too. Lovely cake, makes me want to get out of my zombie-tired state and get baking. I have this passage on my bathroom mirror; it helps me get through some days. Beautiful post, Hannah. And your skillet cake sounds amazing - rosemary crumb? Yes, please. I can smell the rosemary. Beautiful. Yes, keep going. well said hannah -- these fears, these nagging voices and you pushing through it -- that's where big ideas come from! this cake looks heavenly! Oh, Hannah, so much beauty you add to the world. I'm glad you're speaking here now. Keep moving and keep wrestling with what's coming. I like who you are and who you're becoming. Hannah, I would buy these photos and would gladly hang them in my home. They really, really make me happy. Your photos instill a longing in me, a longing to hop right in and live the life they portray so beautifully. Don't stop doing what you do. Such a beautiful post, Hannah! You've hit home to exactly how I've been feeling lately. LOVE that quote. Beautiful post. Your photography is gorgeous! What a beautiful quote. And beautiful words to match. Happy Thursday. Wise words! Thanks for sharing your thoughts. And your fears. I know them too well. I know these feelings too well also. The two last years I have been questioning myself, is what I do and create good enough ? Where am I actually going ? I was comparing myself with others all the time. 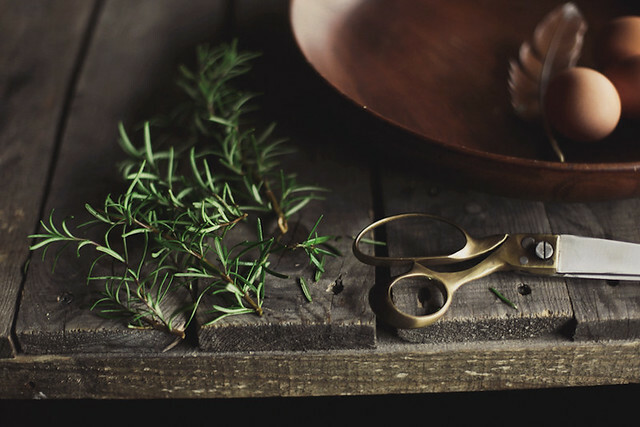 I felt overwhelmed browsing these gorgeous blogs written by amazingly talented women. I became so so tired of everything. Tired of trying to be perfect. Chasing perfection is exhausting. It’s like hunting for the pot of gold at the end of a rainbow. So I almost stopped with working and blogging. It took me a year to find myself and feel proud again, to feel good about what I do. Slowly I felt comfortable with not knowing about tomorrow. I had to calm down and let the pressure go. It felt absolutely wonderful. I thing you have found found your path, I can feel your passion through your work. Your photographs are amazing !! This book has helped me a lot : Where Do I Go From Here? An Inspirational Guide To Making Authentic Career and Life Choices, written by Kenneth Ruge. wonderful quote - something we all need reminding of. Welcome back..you have been missed! Beautiful post, Hannah! I have to tell you (as another reader mentioned) that no matter your age, you still have these thoughts, although maybe not as often. I am 49 yrs old & still wonder what my "career" path will be. Every day is different & we ebb & flow with feeling secure/insecure. Please keep posting! I so look forward to reading your blog & seeing the breathtaking photos you take! OH, sweet girl...the growing, the fear...it never quite goes away because we continue to evolve and change and in each new season there are the questions. So, all those souls who seem to "know" and have it so together are fighting this same battle somewhere. Love your post! That looks and sounds yummy. Your blog is dangerous, so much delicious around here! Excellent reminder. I think most of us can identify with this in one way or another! 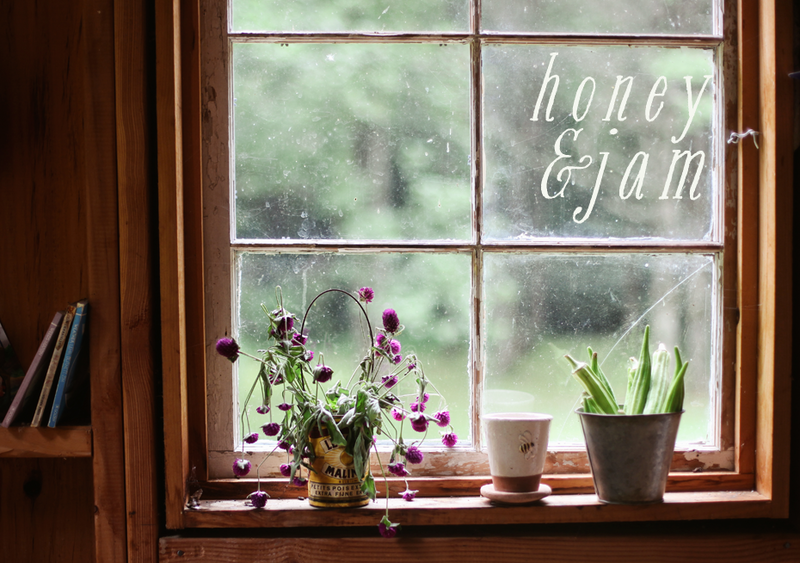 Stumbled over to your blog a year or so ago and loved the simple beauty of it and the little things you have to say (+ you make beautiful photos). We all have felt this feeling but we haven't all shared or acknowledged it in the way that you are - that says a great deal about you. Keep that chin up and remember that very thing - you just need to "keep going", keep doing those things that make you happy and the right people will take notice. great reminder, hannah. and look at all this encouragement from the world! i have had similar feelings lately about finding a path, making the right choices, being good enough... but you just have to put one foot in front of the other. hold onto the good and shrug off the bad. the path will eventually become clear. Oh my gosh, Hannah, I know, life really can be daunting sometimes! It is so hard to try to keep up with everything and dig through your heart and take risks but also plan realistically. I have been struggling with some of this myself too! One thing I can tell you, for whatever it is worth, is that I ended up in a "practical" job that I thought sort of fit me "well enough" and didn't make me scared at all, I thought it was "safe" and something I was "capable" of. Now it is 7 years and a master's degree later, and yes I can pay my bills and have had some positives from this path, but I can't wait to get out. I am "good" at it, but it doesn't make me happy or match my personality. It is draining my energy and burning me out. I turned into one of those people who got up in the morning and said "Be thankful, other people would love to have this steady job," or "At least you get the summers off and spring and winter breaks," but then I realized that is not really the way I want to live my life. Anyway, I don't know if that is helpful at all or not! I hope so! And also if it helps, I just read Creative Thursday and really liked it, maybe it would comfort and inspire you too. I think self-doubt and fear are very, very natural and can even mean that we are on our way to something great and worthwhile, but I certainly know that they can be paralyzing. Just remember: you can always change what you're doing down the road, you don't have to have a "forever" plan right now. And it is okay to be human and not bionic, to give yourself breaks when you need them and time to think and be gentle with yourself. From my perspective, I would say do what you love and follow your heart, but I know that is easier said than done! If I could go back in time, I would have waited to go back to school until I KNEW that was something I loved, and also done more soul-searching and given myself permission to do what I really loved. I think the clues were there all along and I ignored them, thinking they were too risky or not believing that jobs like that existed. But maybe the bigger risk is ending up in something you don't love! One last book, I also liked Making a Living Without a Job, she is also very inspiring and reassuring that you can change paths, find new ideas, and support yourself in different ways. Sorry this is so long! I think you do beautiful work and are very fortunate to possibly have found something you love doing and are talented at at such a young age! I hope some little things will start coming together so you can continue sharing your spirit and light with the world. :) Let me know if you ever want to talk more about books or life or taking deep breaths when the terror and doubt strike! You don't know what it means to know someone is out there who feels similar to what I do right now. I find myself taking ridiculous career assessment tests lately and I've been working the same minimum wage job for 6 years terrified that I have nothing to offer. Thank you for posting this. The quote is wonderful, and I always look forward to your posts, Hannah. I am always sad when they are so far apart. I never worry about you, Hannah. That is the best compliment I can give. Beautiful page, as always. Beautiful post and stunning photography! I also want you to know that I very seriously aspire to be as good a photographer (as you and you are a good ten years younger than me). You are pretty inspirational. I'm English and I am much better a sarcasm than gushing praise, so understand that I mean that... Just keep doing it. There's no way it will be easy, but that's not the point, eh! I love the cake, your photo's and Rilke ! Hannah... your photos and words become more and more beautiful with every post. Don't let anything tell you otherwise!! I try and emulate your artistic style all the time, you're a true inspiration! I love the rosemary crumb idea. This cake looks fabulous! And know that your posts, your photography, your recipes inspire me so very much. Rilke is my favorite poet. And this post was just what I needed. Thanks for your vulnerability - it's a scary thing to post fears onto a public space. Know it was not wasted. Hannah, it is so nice to hear your voice again. I've been going through some difficult days, and your post rings true a thousand times. Best of luck to you. This is such a stunning rustic cake. You have a gift of both words and photographs. You should want to post for you more than the rest of us. The fear and trepidation usually mean you're doing the right thing! You are such a creative talent! I love your blog. So happy to have found it! I can never get enough of your gorgeous styling and the dark mood in your frames. I am working on loads of fear in my life, some of these are vanishing slowly and others I am not so sure of! At least not yet! I almost never comment on peoples blogs but I can completely relate with your post! This whole growing up thing is hard and I too have the tendency to try to ignore my fears, and as a result, completly stop moving forward. Someone recently shared this blog post with me, and I thought maybe you would enjoy it too. I've never made a skillet cake, could this be the one? Love the raw honesty here and I hope you figure the right way to go, or at least just keep moving. your words are as beautiful as your cake. 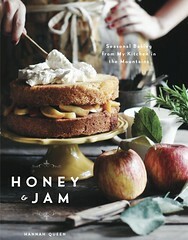 I'm thinking of trying to pair apples and rosemary now for something sweet! I also loved the Rilke quote... I'm a panic attack sufferer and words like those are what I look for to help me face things. beautiful photos...and really such moving writing. in my hazy years of the twenties, i completely identify (and feel very much defined by) your description of being frozen in all the challenges that come with finding and asserting yourself against the perceived expectations of those around you. ahh, thanks so much for sharing, a beautiful read. 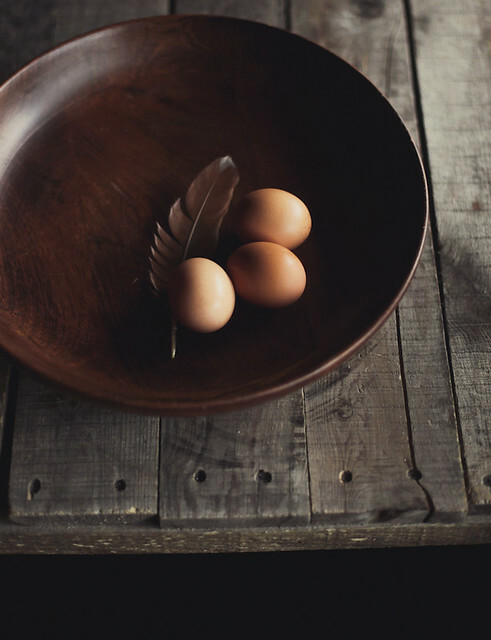 I just came across your site from Susannah Conway's weekly posting of awesome articles. I'm happy that I found you. Wonderful words and beautiful photos. 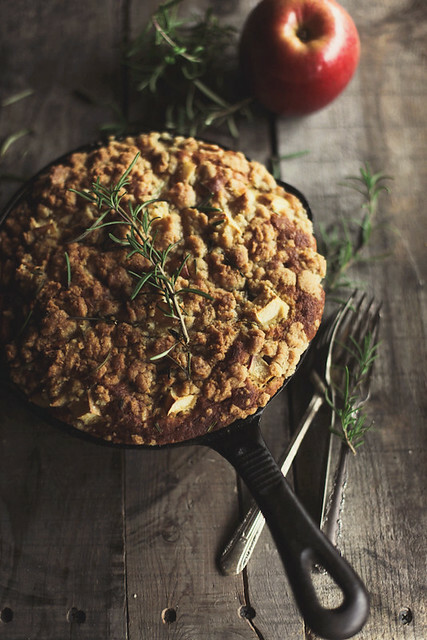 I've put a date on my calendar to attempt making this apple and rosemary skillet cake. Thank you for sharing your passion, I'm excited to take a look through your older posts. Very inspiring! Beautiful photos, as always. I love the light in them. Life is overwhelming and full of choices and second guessing those choices. When it feels particularly overwhelming I remind myself what a blessing it is to live a life where you are free to make your own choices. I love the quote. Interesting, because I remember those feelings when I was young. Then you grow older and realize you're responsible for the children you've brought into this world and it's important to embrace that, yet not over think it all or you might go crazy. There are many of us who stop in to read your words and recipes and look at your beautiful and enviable photographs who can never properly, in person, express our gratitude. This funny, private yet public word of blogging. Keep moving forward. Everything evolves. Pretty much the only thing that is good about getting older is the fact that you really don't care much about what people think! Lovely post - Keep em coming! They are always good and your pictures always stunning. And this cake....and that crumb....with those flavour combinations: I have to try it, and hope it turns out as beautiful as yours! It is so hard, growing up, figuring things out. But I love this blog and your pictures. Always beautiful. I look forward to your posts, and so I was glad to see this one. I can certainly relate to the fears, tiny ones and ones that seem larger by being magnified so often in my mind. Sometimes, it's enough help to know that I'm not alone in those feelings. And, as you said, that I can acknowledge them and keep going. You can't go over or under, just through. Ah, beautiful! It never really gets easier - there is always doubt - but it becomes - easier to accept I suppose. Your photos are amazing! Thanks for sharing such inspiration. Oh, do I know what you are talking about..
And you are right, keep going. Be scared while you move if you must, but keep going, you may find out that once you get there, that it is not so scary after all. Lots of love to you. This looks delicious! Always love your photography too! I just wanted to say how lovely and timely I found this post. That quote struck me hard and exactly where I am-it was the balm to my soul that I needed! Thank you for being authentic and true to yourself-and sharing bits and pieces of that journey. The photographs are the perfect counterpoint as well, drawing the reader along in beauty. I have that feeling a lot, too. Thank you for the quote and for going on to provide us with great recipes and insight. 'The inauthentic life is the life not lived'. Don't be scared...we'll all get there in the end! Thank you so much for this wisdom - I really needed it right now. I'm just about to start a new job where I will be expected to bring a lot of creativity and confidence. I'm more than a little terrified and every now and again I wonder whether I've made the right choice to leave my current comfortable, but slightly boring, job. I love the way you write - I cannot stop reading. the key is to keep moving forward :) very inspiring post Hannah. So glad I found this blog. Beauty in everything! Great job. I love that quote. I feel like I'm in a period of sadness right now, and so it helps to remember that this is not final. Anyway, I made this cake yesterday and it was fantastic! I could see this going well with so many other combinations too. I think peaches & thyme or plums & lavender sound especially good during the summer. I love all your posts, they inspire me! It´s normal to panic sometimes, it´s human, but keep going because we love what you do! I´m going through pains and terrors myself, and I finally came to conclusion that we grow from it, this is not the final, there is no final until the real final comes, so from here we can only grow higher! All my love and and encouragement to keep growing! 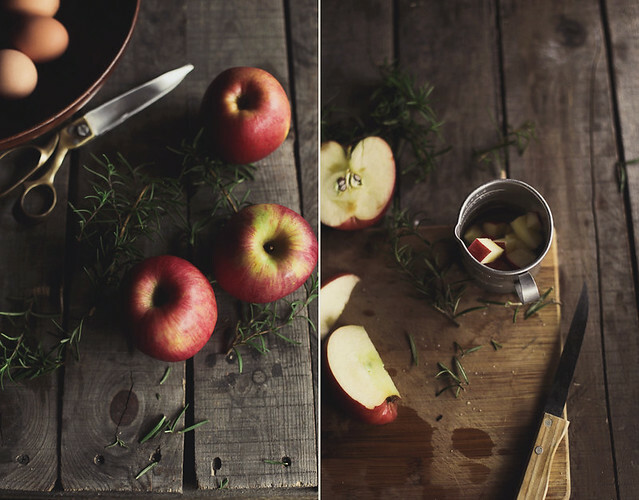 rosemary and apples. interesting combination that i will now have to try. thanks. Looks wonderful! I just found a place in the Spanish mountains full of rosemary. Must try with apples. OMG, your all recipe are very nice, hannah. I like all recipe and photos. crystal x asli Excellent Blog! Thanks for sharing an informative post.